I am dancing, drumming, singing and performing my new piano piece ‘Kandinsky’ at the National Gallery of Australia in Canberra this week. The seeds first appeared in May last year through working with dancer Suraya Hilal. It has since been further developed on my own and then with dancer Sarah Hamilton. I am excited to show it and excited by the prospect of working with a bigger musical ensemble to bring it to life down the track. Oscillations with Suraya Hilal, Sarah Hamilton and I at Casula Powerhouse went well. It was a good audience and we further developed existing pieces as well as discovered a new piano piece for Suraya Hilal and I. Her brief was ” something modern…. abstract…. like Kandinsky… ” Which has got to be one of the most wonderful briefs I have ever had. We improvised it the first day of rehearsals dancer and musician working together, delving into the unknown ….beat by step by move by melodic structure. We then spent the rest of the rehearsal period trying to recapture it and create a loose structure which could guide us through our improvisations : Create a syntax and variety of dynamic shifts. It was kinda scary but in the end the most fun of the program. We also did a totally improvised frame drum piece. The GREAT news is I have now been invited to drum for the workshops in Dusseldorf, Germany in July. I AM GOING! I feel i can not possibly say no. Exciting!! My drum mentor Egyptian drum master Ibrahim el Minyawi will be there as well as dancers from all over Europe. Fantastic! I am really excited that legendary dancer/choreographer Suraya Hilal will be performing for the first time in Australia on Friday MAY 8th. The program will also feature work by dancer/choreographer Sarah Hamilton and live improvisations for Piano, Accordian and Drum from me. See here for background on Sarah’s and I work. 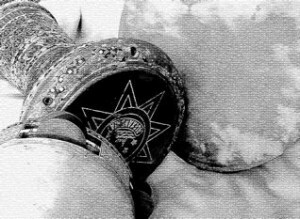 Training in Hilal Dance has been absolutely invaluable to me. I believe the dance form holds important value to contemporary performance art, life, health and the continuance of a meaningful, rich and beautiful human culture. 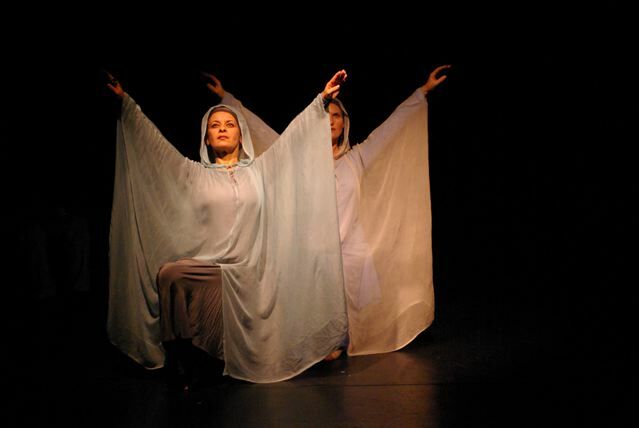 Suraya Hilal’s work has had an enormous influence on the development of Middle Eastern dance in Europe and Australia. This is a unique opportunity to see her perform in Australia. I was first introduced to Suraya’s work through Canberra based dancer Helen Way who i learnt dance from and then went on to work with as a drummer. In 1999 I attended a drum workshop with Ibrahim el Minyawi, master Egyptian drummer who has worked with Suraya Hilal for over 15 years. The improvisational language between dancer and drummer and the equality of the relationship totally captivated me. Not to mention the intricacy of the rhythmic language which is incredibly melodic, fluid and expressive in the hands of Ibrahim. I managed to get funding through the Ian Potter Foundation to travel to London and study with Ibrahim over a 4 week period in 2001. An incredible experience which has totally informed my playing of all musical instruments. Since then I have been training with Sarah Hamilton a professional member of the Suraya Hilal Dance Company and developing work together as dancer and musician. Performing with Suraya Hilal, a job usually done by my mentor, is an incredible honor for me and the result of ten years of continual training, teaching and performing. I am also really excited to share the work that Sarah Hamilton and I have been developing as it draws on the essence of these traditions but is also true to our complex cultural and creative identities. I believe it is valuable work and hope that people will enjoy and be inspired by the outcomes! Suraya Hilal has also been conducting yearly workshops in Australia and this years workshop will begin the day after the Sydney performance. I highly recommend her workshops, she is a great inspiration and she has much to share with dancers of all levels of experience. Some highlights from the Suraya Hilal Dance Company & the Mozaic Dance Company performance at Casula Powerhouse May 2009 featuring Suraya Hilal, Sarah Hamilton and me on piano and frame drum. The beautiful Oud piece is a recorded piece by Joseph Tawadros and the rest was played live by me. IMAGO is definitely the most demanding live show I have attempted. I am in training mode with piano, accordian, frame drum, Egyptian tabla and just incase i thought that was too easy I am dancing a complex group choreography as well! This is me working on a new section of the piano piece. 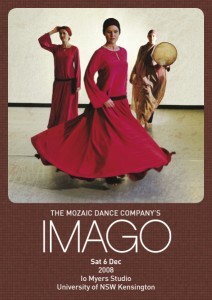 See post below for more info on IMAGO – to be performed 6th of December 2008. Some days I think I must be mad to attempt all of it, but then I remember that the integration of dance /music/sound/form/movement is infact what has always driven and inspired me. Training in the dance means I understand the choreography and movement language and can better respond to them as a musician. It also means I am fitter than I have been for decades! Most “traditional” cultures have art/music/dance/ritual/theatre as vital components of their existence and they all by and large do not make the same divisions between where one thing starts and the other begins. It is in the intersection of these things that the complex patterns of the universe become more fully realised. See info on the Mandelbrot Set and I just found this wild video of mandelbrot set imagery. All of the live music pieces are a combination of quite complex repeatable/composed structures and improvisational interludes. It requires an enormous amount of focus to move between modes. The transitions between sections are in turn prompted by dancer or musician or a little of both. I think this is one of the valuable things about the work we are doing. It necessitates a presence of mind which engages both hemispheres of the brain in an integrated and balanced way. Positive psychologist Mihály Csíkszentmihályi describes this state as FLOW. I will be performing with the Mozaic Dance Company on the 6th of December. With special guest Kim Sanders. Here is some footage from this years showing at IPAC supported by Merrigong Theatre Company and last years show at Sidetrack Theatre.